Yes dj was telling me about them on the OUTIA location tour, he said they weren't bad, but the 22 minute run time for each episode streamlines the stories quite a bit. 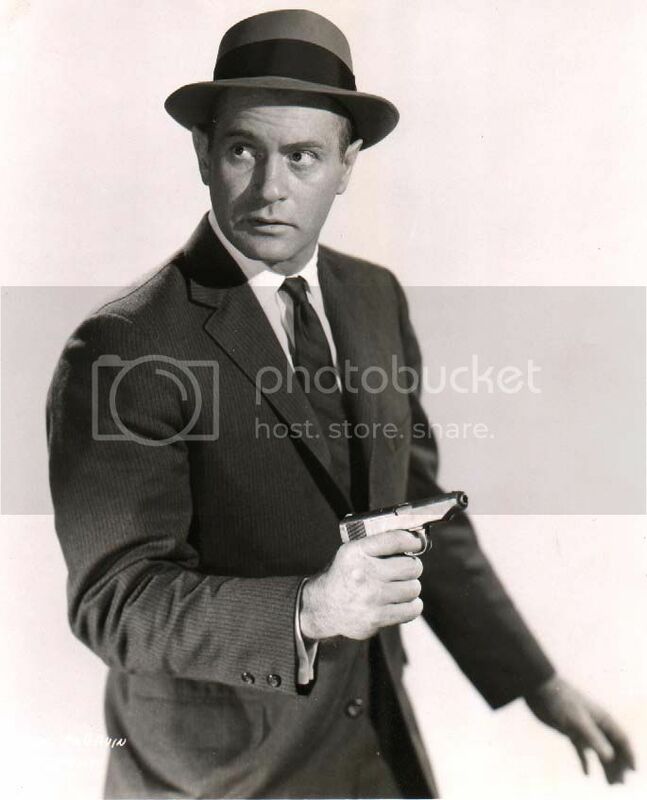 When I think of noir, I think of The New Mike Hammer, which they put on TV late at night, here in Australia. Which one? the Stacey Keach version? I'm not sure if it's because of the moustache, or the fact that he is a private investigator, but he reminds a lot of Tom Selleck as Magnum, which is probably my 2nd favourite TV show. The Long Wait (1954) This is no Hammer and no NYC but is 50's Spillane, it has Anthony Quinn and Charles Coburn and for the first 3\4 it is very good. The plot hangs on a spit but the single scenes are good because of Quinn. He is simply perfect but he doesn't look like a Spillane's character, with his Indio traits. Still he makes every scene worth watching. The females, with one exception, are barely over the low average of those in Kiss Me Deadly. The scene with Quinn tied to a chair will make CJ happy: photographed in as noir style as can be. The score is by the immigrant italian composer Mario Castelnuovo-Tedesco: it seems he was the one who taught the other american film composers who came on the scene from the 40's on. Anyway I think this earns a 8\10 and probably is also worth a dvd release. 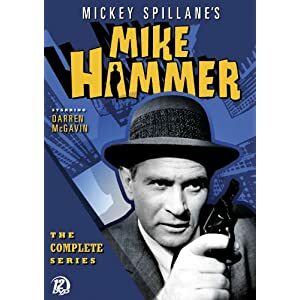 Almost done with Mike Hammer (79 episodes, 1958-1959) starring Darren McGavin as a pretty confrontational though tongue-in-cheek Hammer, quick with his fists and his gun. I have about a disc & a half left to go. As with any series there are ups and downs. There were two back to back outstanding ones I watched the other night "Doll Trouble" and "I Remember Sally". decent theme music "Rift Blues"
My Gun Is Quick (1957) Reminded me of Kiss Me Deadly. Shot in SF I guess. Bray is a very good Hammer (though his face is too lean) and he offers a very typical spillanesque scene when he mistreats the little barman. But I can't put up with the California locales. It is like bringing Marlowe in NYC. The females are of the low order: worst-looking Velma ever, though the female lead is 7\10, like trhe movie. I take that back, watched a film from late 50's that had a street shot of NYC almost all the cabs were Dodges or Plymouth's with tail fins. TV crap. Boring, draggy, plodding, visually dull. The cast was decent - though Robert Bray is a TV actor if there ever was one - but everything else falls flat. The "action" scenes are incredibly dull, this might have one of the most boring car chases of all time. After reading Spillane's first two novels and watching this dreck, I definitely consider myself a Kiss Me Deadly fan more than a Hammer/Spillane admirer. This adaption is built on the worst of the two novels - with the preachy dialogue and general hokiness but doesn't contain any of the rawness. I'm a little hesitant to watch I, the Jury (1953) now. On a side note, saw a good chunk of the '82 adaptation a while back and thought it was mediocre at best.